How often do you find yourself asking, “What is there in this day to look forward to? The next time you catch yourself asking this question, log on to 123greetings.com/stores to order the special events and holidays wall calendar for 2017 and you’ll have your perfect answer right in front of you. 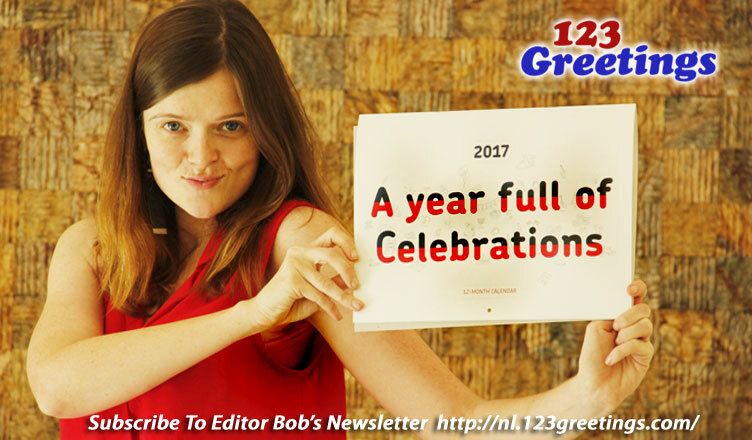 The calendar is launched by the pioneer of global events and online greetings, 123greetings.com, who have been around for almost 2 decades offering their splendid greetings and making our special days exceptional. 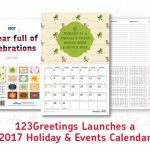 This calendar is unique because it is a repository of quirky events and holidays earmarked for each day of the year, making it convenient for you to find reasons to have fun and think differently. It is a tool to make each day of the coming year a celebration. It is a heaven for you. Be it creative projects, tweets, events, parties, hang outs , meal plans or vacations or simply spending time with your family, this calendar will get you started. 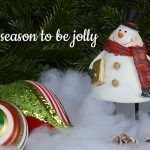 The stirring quotes invoke positive thoughts and feelings, and the exciting doodles and festive elements appeal to the creative and playful side. It is the ideal 12-month wall calendar with monthly planner space to pen down your notes, it also includes dedicated page for noting down special occasions such as birthdays and anniversaries. The 12” by 9” calendar is conveniently sized to be pinned to your refrigerator or to be hanged on a wall in your home or office. It is available at a special offer price of $14.95 at 123greetings.com/stores. It is a perfect gift in this Holiday Season and Christmas because you are not just giving a token of time but letting them know how precious time really is, you’re gifting hope and joy which is folded in these pages waiting to be unfurled.